Brain Lightning Review: Thunder in Your Head? Upon arriving to the company’s official website, we immediately felt a bit put off, so to speak. The design and overall layout of the website is very poorly managed and was not of the quality we were used to dealing with. 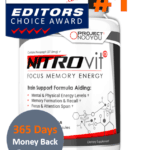 Since we take cognitive enhancing supplements very seriously, we hope that the creators of Brain Lightning ­– Novus Research Inc. – do so as well. Their product has been mentioned and discussed on many reviews sites (including Amazon.com), which is good news. This tells us that the company does in fact have a certain degree of reliability. 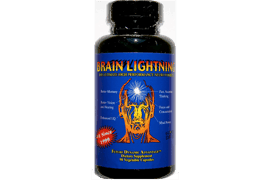 Brain Lightning is specifically designed to provide “better memory, better vision and hearing, enhanced I.Q., fast, accurate thinking, focus and concentration, and mind power.” We don’t know about you, but we got kind of stuck on the claim that it can boost I.Q. levels. 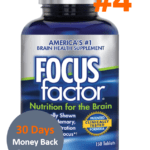 Cognitive enhancing supplements in general aren’t designed to increase intelligence but rather to improve certain aspects of brain function such as focus, memory or mental energy. Novus Research Inc. has made a big statement so we hope that the product can shine through in terms of results. Fortunately, a full supplement facts label is available on their official website under “Rock on Lightning”. 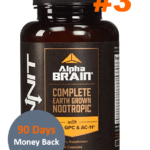 Each Brain Lightning capsule contain the following ingredients: Vinpocetine, Huperzine A, Vitamin E, Vitamin B1, Vitamin B3, Vitamin B5, Vitamin B6, Vitamin B12, Magnesium, Zinc, Manganese, Selenium, DMAE, TMG, Pregnenolone, L Tyrosine, Gingko Biloba, and Phenylalanine. 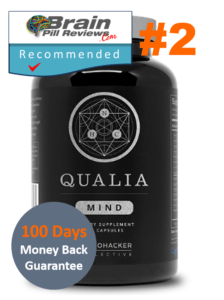 While the formula does seem to be packed with vitamins and minerals, we do see some great nootropic ingredients included as well. Huperzine A, for instance, helps with memory and cell-to-cell communication in the brain because it increases the levels of acetylcholine (acetylcholine neurotransmitters are responsible for learning). Meanwhile, Vinpocetine increases blood flow to the brain, which can boost focus and allow us to concentrate for longer periods of time. Vitamin B12, on the other hand, boosts cellular metabolism and may increase mental energy. 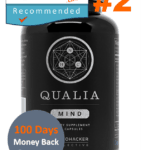 Amongst these awesome nootropics, however, we did notice the elephant in the room – DMAE. This substance has been banned in the U.S., Canada and Australia because it has been linked to brain cell death when used in the long-term. A 90-capsule bottle costs a whopping $99.95. Since the manufacturers recommend for us to take 3 capsules per day, that Benjamin will only last you a month. 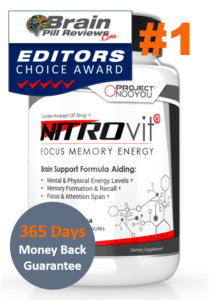 That’s totaling to $1,199 a year for a cognitive enhancing supplement that may or may not work for you. Maybe money is not your main concern so the price tag on this product isn’t very bothersome. However, for those of us shopping with a budget, this purchase is going to hurt…a lot. After looking through the customer reviews online, we quickly realized that the comments heavily contradicted each other. In other words, the reviews online were either amazing, 5-star reports or terrible, 1-star, disappointed comments. We don’t mean to sound overly concerned, but does this smell a little fishy to you? 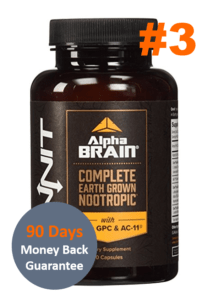 Overall, Brain Lightning’s formula is good as it contains a few esteemed nootropics. 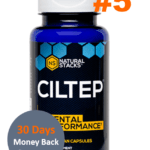 If you do decide to purchase this product then we recommend that you take a separate choline supplement because Huperzine A is known to cause headaches if not paired with a good source of choline (i.e. CDP Choline).